The President, Pranab Mukherjee, has so far, under Article 72 of the Constitution, rejected mercy petitions from 36 death row convicts, commuted the death sentences of three convicts, and has three mercy petitions pending for his decision since August 8 this year. Of the 36 convicts whose mercy petitions were rejected by him, three have been hanged, 17 have been successful in getting the Supreme Court or the high court commute their death sentences by setting aside the rejection of the mercy petitions, while the remaining 16 are oscillating between life and death, as they have not exhausted the legal remedies available to them. As he completes his term as the President in July next year, he may like to reflect on the legacy which he leaves for his successors. There is no doubt that the President, under the Constitution, is bound by the ministerial advice tendered to him, on whether to accept or reject a mercy petition from a death row convict. 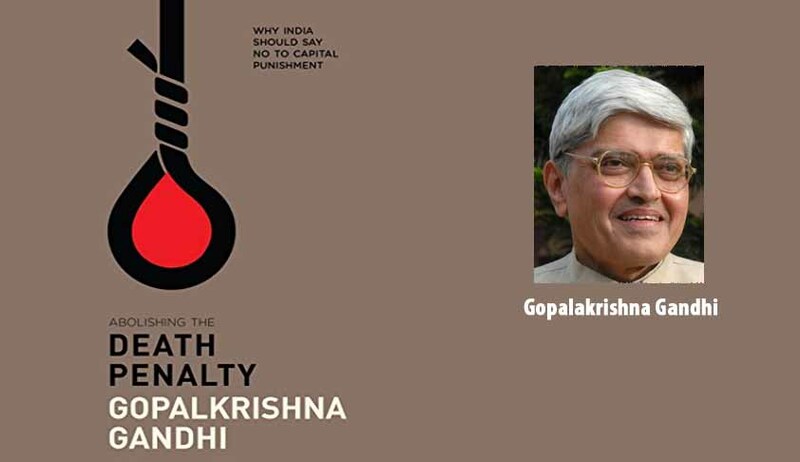 Some presidents, Gopalkrishna Gandhi says, have not troubled the government with second thoughts, others have; To give evaluations and revaluations a chance to excavate the ingredients of a death penalty case is not an act of procrastination but of responsibility. It is both wise and humble. To not do so is unwise and arrogant. It is also callous, he suggests. In the provisions of Article 72, the author says, lie a philosophy inadequately explained, that requires the executive study of a mercy petition to be trans-judicial but not un-judicious, to be a large canvas but not a tabula rasa for presidential expressionism. No man’s life can be left to the mercy of another man’s discretion, he is categorical. “Raisina Hill is not the Purana Qila, nor Rashtrapati Bhavan the Red Fort”, he says succinctly. The book is a lucid analysis of the arguments for and against death penalty, and is likely to convert a retentionist into an abolitionist. Is the abolition of death penalty possible in India? More often, leaders and institutions move along the grain of prevailing public opinion. Those in India are no different from this global phenomenon. But is it a sign of being democratic? To Gopalkrishna Gandhi, it is a sign of moral unventuresomeness and intellectual feebleness. Francois Mitterrand of France and Nelson Mandela of South Africa, greatly assisted by two non-political judicial intellects, Robert Badinter and Justice Arthur Chaskalson, respectively, led rather than allowed themselves to be led by inconstant public opinion. Badinter was a French criminal lawyer, university professor, politician and activist against death penalty, whose abolition he successfully sponsored in Parliament in 1981. Mitterrand chose him as his Minister of Justice, after coming to power. Arthur Chaskalson was President of the Constitutional Court of South Africa from 1994 to 2001, and Chief Justice of South Africa from 2001 to 2005. The court’s first major decision under his leadership, was the abolition of the death penalty on June 6, 1995. To abolish death penalty, India has to wait for its Badinter and Chaskalson moments. Those advocating abolition of death penalty are invariably asked the question about the victims, and their families, and their cry for justice, which is answered in the form of death sentence for the killers. The book’s response to this is that death penalty deprives the convict, the experience of the consequences of his crime, which is the objective of any punishment. By snatching the life of the convict at one go, the state may achieve closure to the case, but the objectives of the punishment are not fulfilled, and justice remains incomplete. The author also seeks answers to the difficult question of whether life sentence without remission can be a substitute to death sentence, as the Supreme Court has held in several recent cases. He merely observes that the right to life is about more than freedom from the noose. It is, he says, about the right conditions for prisoners’ officially incapacitated living-conditions that are compatible with human dignity. Left to himself, would a prisoner prefer death sentence, or life imprisonment without remission? Poor and inhuman conditions prevailing in India’s prisons would suggest that a prisoner may prefer death to life imprisonment without remission. But the answer is not as simple as that. Here, the Supreme Court might have invented a punishment, which is not proportionate to the crime, even though on the face of it, it may appear less harsh than the death sentence. Whether a prisoner qualifies for release, after some years of imprisonment, should be left open, rather than pre-determined by the Court, which has no idea of the prisoner’s capacity for reform, at the time of sentencing. Therefore, the current phase of life imprisonment without remission cannot be considered a victory for the abolition movement. A murder, committed on impulse, without premeditation, as we all know, does not merit a death sentence. Death penalty, insofar as it is imposed after premeditation by the State on a convict, therefore, is nothing but a State-sponsored murder, which ought not to remain in the statute books. The author, a well-known diplomat and author, is currently a Distinguished Professor at Ashoka University. According to Roger Hood, Professor Emeritus of Criminology, University of Oxford, co-author of The Death Penalty: A Worldwide Perspective, the book makes a convincing case for complete abolition of the death penalty in India. Fali S. Nariman, senior advocate, observes that punishment with death is not at all necessary to convince people that killing people is a crime! This is the message eloquently conveyed in this unputdownable book, he adds. The book’s cover has a persuasive question posed at the centre of the noose: Is taking another life a just punishment or an act as inhuman as the crime that triggered it? Any reader who reads this book is likely to say no to the first question, and yes to the second.